Phillips Corner-Ashland's Newest Urban Townhome Community near the Downtown Core! 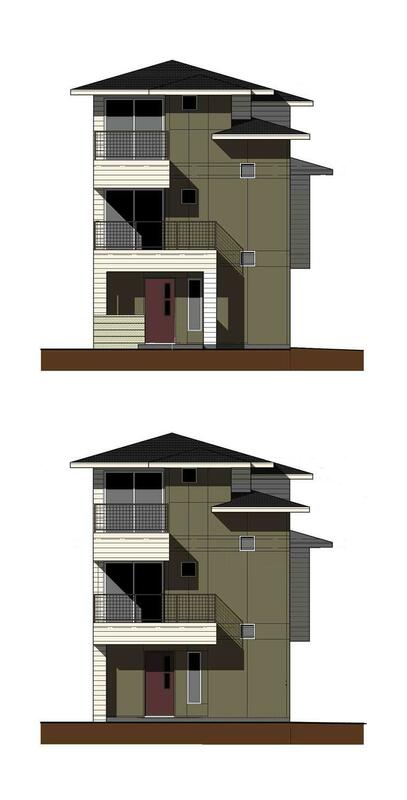 Six beautifully designed two bedroom one bath townhomes with attached 1 bedroom one bath accessory dwelling units. Each comes with two nicely appointed kitchen/dining/living spaces, high-quality interior finishes, nice views, small balcony/deck, attached garage and dedicated parking. These are perfect for owner/occupy with guest quarters, small investor rental properties, 1031 exchangers, and they qualify for single-family financing, too. Projected rent for the 2/1 is $1300/M and $950 for the 1/1 ADU. Earth Advantage Certified, including mini-split furnace units, tank-less water heaters, and high-efficiency windows and insulation. Super location with easy access to Shakespeare, Southern Oregon University, parks, walking/biking paths and all of Ashland's world-class amenities. Small monthly HOA covers driveways and common areas. Reservations Only until April 30, completion/occupancy by mid-July 2019.